Guard-All Building Solutions manufactures a cost-effective selection of fishery buildings and fish farming buildings to help our customers get buildings in place quickly and efficiently. Our buildings have generous overhead clearances, no interior columns to interfere with equipment and tanks, and allow natural daylight to reduce energy costs. 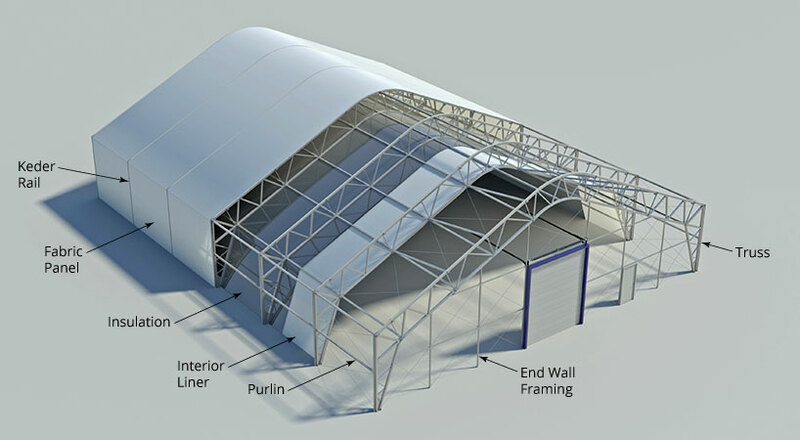 The buildings range in width from 30′ to 200′ and can be installed as either temporary or permanent structures. Our durable galvanized steel frame and engineered HDPE membrane are guaranteed to last and withstand moist environments. Lease options are available for these buildings to help you manage your capital expenses.